When a particle moves in a horizontal surface with a constant speed the motion of the particle is called uniform circular motion. 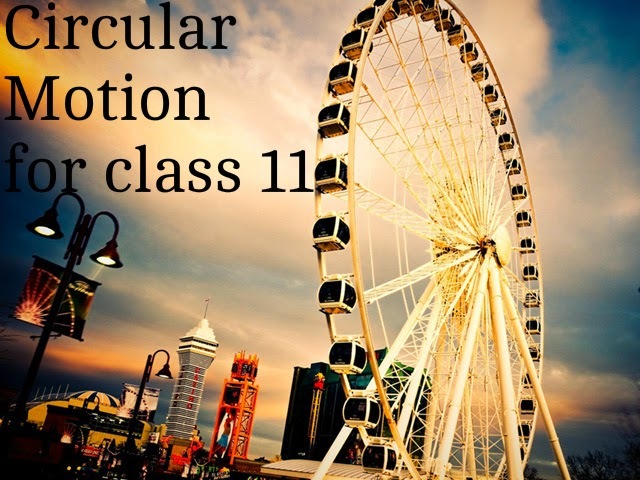 Uniform circular motion can be described as the motion of an object in a circle at a constant speed. As an object moves in a circle, it is constantly changing its direction. At all instances, the object is moving tangent to the circle. 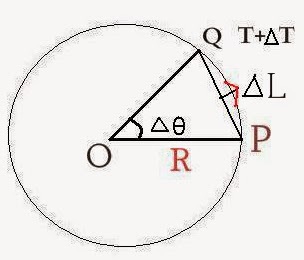 Since the direction of the velocity vector is the same as the direction of the object's motion, the velocity vector is directed tangent to the circle as well. The animation at the right depicts this by means of a vector arrow. An object moving in a circle is accelerating. Accelerating objects are objects which are changing their velocity - either the speed (i.e., magnitude of the velocity vector) or the direction. An object undergoing uniform circular motion is moving with a constant speed. Nonetheless, it is accelerating due to its change in direction. The direction of the acceleration is inwards. The animation at the right depicts this by means of a vector arrow. The final motion characteristic for an object undergoing uniform circular motion is the net force. The net force acting upon such an object is directed towards the center of the circle. The net force is said to be an inward or centripetal force. Without such an inward force, an object would continue in a straight line, never deviating from its direction. Yet, with the inward net force directed perpendicular to the velocity vector, the object is always changing its direction and undergoing an inward acceleration. It is in Constant speed because the distance between the ground and moving body remain same. So it is called constant speed. Wen cicular motion take place the angle changes so this is given a name called angular motion. When a partical move in straight line it is called linear motion. 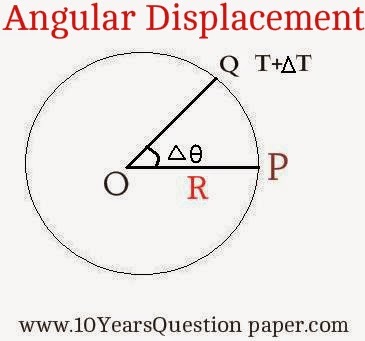 The relation between the angular displacement and linear displacement of circular motion is as the angular displacement increase the linear displacement also increase. Angular velocity of particle in a circular motion is defined as the time rate of change of its angular displacement. If ΔT= 0 then angular velocity becomes equal to instantaneous velocity. If there is less time and the angle is very small its called instantaneous velocity . Frequency of circular motion = number of cycle in 1 second. For an example a particle moves 10 cycle in one second it frequency will be 10.
that angle subtended at centre is 1 radian. as the time rate of change of its angular velocity. If ΔT tends to be 0 then angular acceleration becomes equal to Instantaneous angular acceleration. The linear acceleration is composed of two components. (1) Tangential acceleration (at) = α * r according to the rule of cross product of this component acts along the tangent there for this component is called Tangential acceleration. (2) Radial acceleration or centripetal acceleration (ac)= ω*v According to the law of cross product this component acts along the radius towards the center of circle therefore this acceleration is called Radial acceleration or Centripetal acceleration.